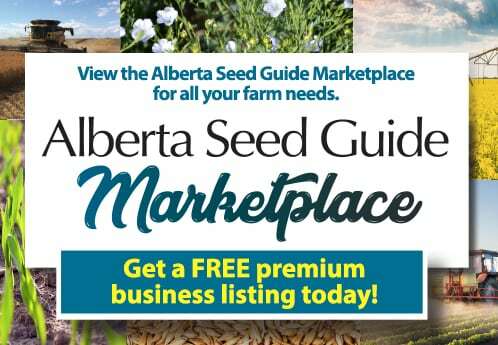 Seed.ab.ca offers you many ways to source seed for your farm. The Seed Grower and Seed for Sale search tools are a great resource to find seed produced locally in your area, as well as locate specific varieties. To report errors with these tools please contact us. To search for members of the Alberta Seed Growers’ Association, this link provides access to our membership database. This search tool allows you to search by grower name, province/town or to click on an interactive map to view seed growers in your local area. This search tool can help you find pedigreed seed for sale. You can search for seed for sale by town, specific variety name or by crop kind (ex. Cereals) and then selecting the type (ex. wheat) and characteristics (ex. durum) you are looking for. This New Varieties List is company-supplied information developed for the convenient reference of readers. The management of this web site does not guarantee accuracy of the claims made. Some registrations may be pending, following the outcome of the Regional Recommending Committee Meetings.